USADA is in the business of educating and testing athletes around doping. When an athlete fails an anti-doping test, it receives wide notice; the fighter is effectively entered into the @$$hole Hall of Fame. However, sometimes USADA fails. That, too, needs to be recognized and understood. Former UFC heavyweight champion Josh Barnett won Fight of the Night and a Performance Bonus in beating fellow former champ Andrei Arlovski on September 3, 2016. The Warmaster was about to hit his 40th birthday and his 20th year fighting. Life was good. Then in December Barnett had a test flagged for ostarine. 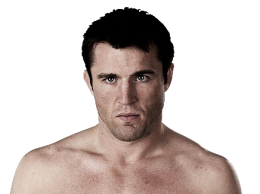 He was offered an 18-month suspension by USADA. If you know Josh Barnett you know what happened next – he fought back. Barnett paid for his supplements to be tested; those results came back last spring and, along with his meticulous records keeping, clearly showed contamination. However, USADA still demanded a suspension. Further, they categorized Barnett as a second-time offender, due to a failed PED test in 2009, long, long before the UFC contracted with USADA for its anti-doping services. That would mean a suspension of up to four-years. For a 40-year-old. Barnett fought on, and requested an independent arbitrator. The independent arbitrator gave Barnett no suspension, but rather issued a public reprimand. That’s like a slap on the wrist, but less painful. However, that happened last week. 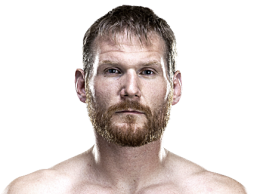 In the closing years of his career, for all of 2017, and 2018 up to now, Josh Barnett was prohibited from fighting. That’s very nearly an 18-month suspension anyway. That’s an injustice. “It felt like they were saying, ‘OK, he’s proved this was a tainted supplement; how do we go after him another way?’ They were just moving the goalposts back until they had something, which is incredibly backwards from this idea of creating an equitable, fair environment. “Maybe they felt I was someone who would look good to punish, but more likely I think it’s the concept of results. I think the best results this program could have is no one tests positive anymore – that the system works and people operate within it. “It’s not, especially if you’re a fighter. Most of these fighters don’t have a lawyer on retainer. There is a lot of work that goes into an arbitration hearing, and lawyers aren’t cheap. No fighter wants to go to arbitration. It’s not preferable; it’s a last resort. “Bureaucracies are big, unwieldy animals that don’t hardly ever shrink or alter their course, but I do hope my case changes some things. USADA will point to the ultimate vindication of Barnett as a sign that their system, which includes arbitration, is a success. That’s false. USADA will note that this is only the first time UFC athlete successfully appealed a USADA sanction through arbitration. But the vast majority of fighters don’t have the money and resources to go through the arbitration process, and instead grudgingly take whatever lesser suspension is demanded. That’s not just.